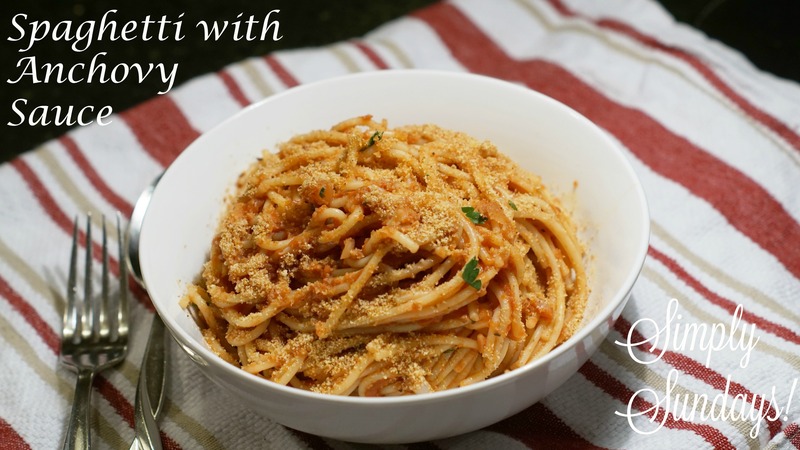 Spaghetti with Anchovy Sauce – Simply Sundays! Now I’m going to ask you to trust me here. Don’t be afraid of anchovies! Serve this sprinkled with your toasted bread crumbs!